This past April 2nd I realized, as I do every April, that I only own one blue shirt. It’s a pretty ugly shirt with a year’s worth of wrinkles and the smell of an old dresser drawer. Yet every year I pull it out and proudly put it on. While I know that technically the entire month of April is “our” month, Autism Awareness Day is special to autism parents. It’s our day to wear blue, clog your newsfeed with puzzle pieces and autism statistics, and let everyone know that autism has touched our lives in a significant way. Autism hit our household pretty hard. My 11-year-old daughter is on the severe end of the spectrum. She has minimal language, intellectual impairment, self-injurious and violent behaviors and requires constant supervision. 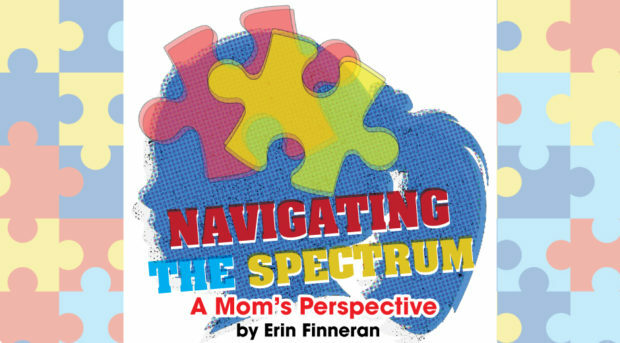 Every child with autism is unique and has his or her own set of strengths and weaknesses, so my life as an autism parent will be completely different from another’s. Be that as it may, all autism parents face a lot of the same challenges and experience a lot of the same emotions regardless of where their child falls on the spectrum. The following are thoughts and feelings that, in my experience, are shared by most special needs parents. These are the things we wish everyone understood about what life is like for us day to day. Parenting a child with autism requires patience. Ungodly amounts of patience. Levels of patience we didn’t know were possible until we had no other choice. We can listen to the same song or video 300 times in a row with a smile on our face. We can pretend that talking about (insert arbitrary topic here) for half the day is exactly what we want to be doing. We can allow for the extra time it takes our children to make sure they have every specific thing that brings them comfort in the car with them before leaving to go anywhere. It might sound something like, “Okay, do you have that straw wrapper you saved from lunch 2 weeks ago? Yes? Great! Let’s go! On the flip side, this patience is reserved for our children and a select few other people. If someone cuts us off on that same car ride that took us 20 minutes to begin, we will react exactly the way you’d expect someone to who has listened to the same song for the hundredth time. We have no patience for people who should know better. Sorry about that. Our children are our heroes. Our kids wake up every day with the odds stacked against them. They have the extremely unfair burden of trying to cope with a disorder that makes them different from everyone else and robs them of the ability to communicate why they feel or act in certain ways. We watch them try desperately to center themselves with self-stimulatory behaviors. Our hearts break when their frustration level causes them to lose control. Yet through all of these challenges, our children find joy in the simplest things. We watch them work tirelessly to achieve goals that once seemed far beyond their reach. We appreciate the ways they show us their love, no matter how unconventional they may be. We are humbled by their determination to thrive, and grateful to them for making us better human beings. So please forgive autism parents for taking over your Facebook and Instagram feeds this month. As the prevalence of autism spectrum disorders in children continues to rise, we just want to help make this world a more inviting and inclusive place. We enjoy sharing our stories, answering questions, and explaining why we just don’t have time for things like buying a new blue shirt.